For many people, alimony is something that they heavily rely on for support because they have historically been the primary caretaker of the family’s children, and make less income than their ex. For others, it is a way of providing financial support as the breadwinner, while also being able to take a tax deduction to help offset the cost. 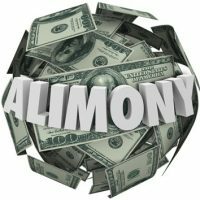 Being able to declare alimony on the payer’s tax returns has allowed many families to lower their income taxes each year by shifting the tax burden associated with alimony to the lower earner. However, the latest tax plan put forth by the GOP may have some dire consequences for this tax deduction, which could adversely affect many families by eliminating what is sometimes known as the “divorce subsidy.” Specifically, alimony would no longer be deductible for the person who pays it; however, it would now be tax-free for the individual who receives it, and this would be effective for all couples who get divorced (starting as of 2018). Tax writers have speculated that this change could increase the total amount of taxes paid by divorced couples precisely because the spouse with the higher income tends to pay alimony. Hypothetically, a couple could end up paying an overall 35 percent tax increase, for example, while also increasing the cost of alimony by 50 percent. While this change would only generate approximately $8 billion for the federal government over the course of 10 years, it could have a significant impact on couples and their families. It has historically been a significant tax deduction for those paying alimony, and has thus provided some incentive for entering into cooperative agreements when it comes to setting up alimony payments in general. However, if the tax bill is passed and this change is made, it may increase couples’ needs for assistance from experienced divorce attorneys to help ensure that fair alimony payments have been negotiated. It would also likely lead to a mad scramble amongst the states to adjust alimony payments to compensate for the tax status change, as the entire set of laws involving alimony are based on its deductibility. As divorce negotiations take on a new, higher tax burden on payers, overall incomes would likely be reduced. Experts have also speculated that the adjustment regarding those receiving alimony no longer having to pay taxes on the payments wouldn’t likely significantly improve their finances. If you are going through a divorce, you could end up at a significant financial disadvantage if you do not work with experienced legal representation and someone who understands how the latest developments in tax and family law affect your situation. At the Arwani Law Firm we have significant experience in helping families with alimony issues. Contact our Orlando-based alimony attorneys today to find out more.